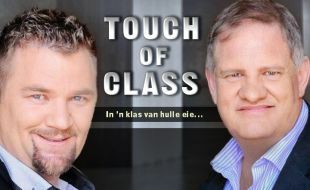 A Touch of Class music can be described as enchanting, this award-winning duo Ruhan du Toit and Deon van der Merwe decided to team up to form “Touch of Class”, their contemporary sound appeals to young and old. Deon's instrumental ingenuity and Ruhan's versatile four-octave voice are the perfect fitting and, after thirteen albums together, they entertain audiences with a variety of music genres ranging from Country, Classic Rock, Rock'n Roll and Pop, to Classical Music, Blues and other traditional musical styles. A not to be missed performance!